It was nice that Ella's parents were supportive, even if her mother relied a bit toom uch on meatloaf for family dinners. There was a lot of gentle humor in this book, both at home and at school. The issues with friends were realistic as well. This will be a popular choice for readers who enjoy realistic fiction. 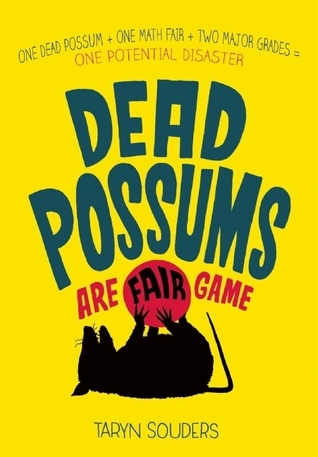 I wish the cover and title were a little more upbeat, since the issue with the dead possum, while informing the plot, takes up very little of the body of the book. Anna is a great math student, and in 1959, she is lucky that she was allowed to take a higher math class with the boys. Her father is very strict, not letting her date until she's 16, and he is reluctant to send her to a math competition because girls get married, not go to college. She meets Matt, and they start hanging out together and eventually develop very strong feelings for each other. 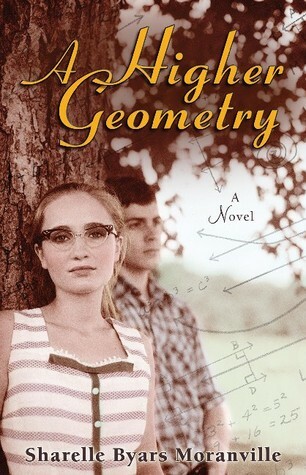 Matt is planning on joining the Army so he can get money to go to college and leave their small town, but Anna has very little hope until a teacher convinces her parents to let her attend a math competition. She does, wins, and still has to convince her parents that there is more to her life than marrying. The family is also grieving the death of the father's mother in a car accident, and her absence casts a pall on family gatherings. When Anna gets an opportunity to study, her family must finally realize that times, they are a-changing. Strengths: I'm always looking for books set during this time period, and the details of every day life are brilliant. I love that it addresses a girl who had atypical interests for the time. Students today don't understand what the feminist movement is about, because they've never been told they have to take typing or home ec because they are girls. What I really think: If I can order this from Follett, I'll be glad to get a copy. The catalog shows that it is still available.